The Pergamon Project is located on the north-western corner of E69/2450 (Figure 1). 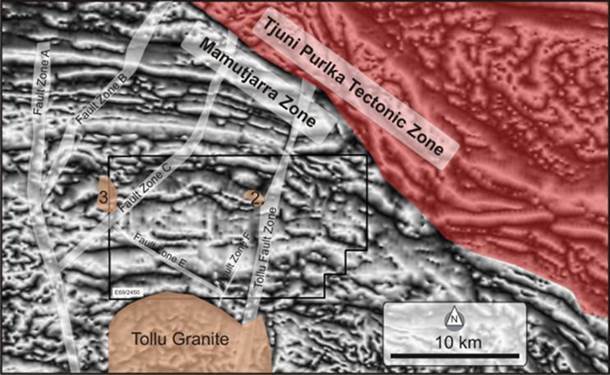 The key attributes that define its prospectivity are the inferred structure (Fault Zone E) (Figure 2), and what is believed to be the same rhyolite stratigraphy that hosts the Tollu copper mineralisation. The geology has been interpreted from GSWA mapping (Figure 3). 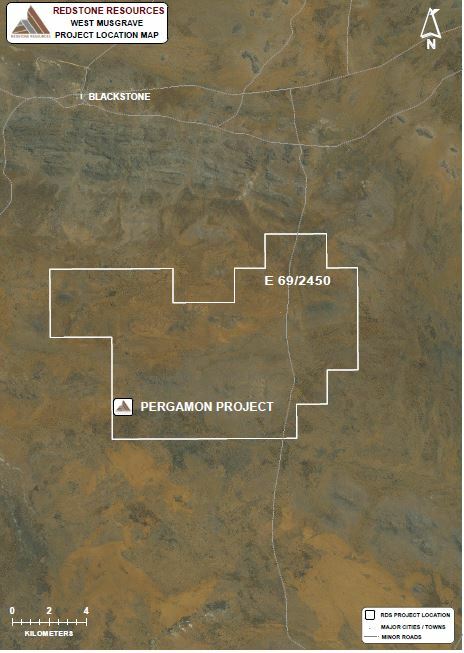 The Pergamon Project is prospective for Mt-Isa copper style sediment-hosted system. 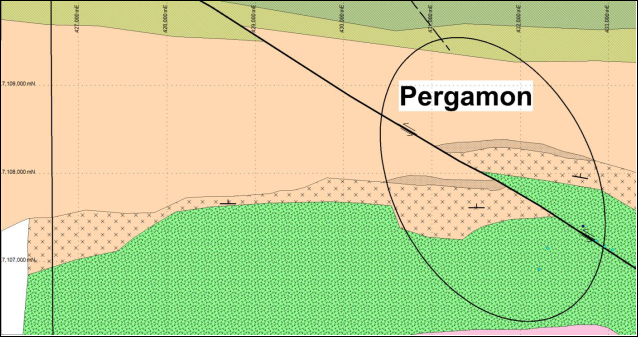 Figure 3 – The geological map for the Pergamon Project representing the Fault Zone E and the stratigraphy believed to be the lateral equivalent to that hosting the Tollu copper mineralisation.